There are some desserts that make me nostalgic for my childhood. Like most women in her generation, my mother didn't work outside the home. I was lucky enough to have good home cooked meals every night, two parents that, though they weren't perfect, made sure our home was secure, and a place I never had to worry about losing. They both worked hard, and of course, I took it all for granted as most kids do. Both my parents have passed on, and the older I get, the more I wish I could have recognized all they did for me, and said thank you. Family life is complicated. We all know that, and it's hard sometimes to get the words out that we want to say. Or we say the words that we wish we could take back, and sometimes they can alter the course of our lives. 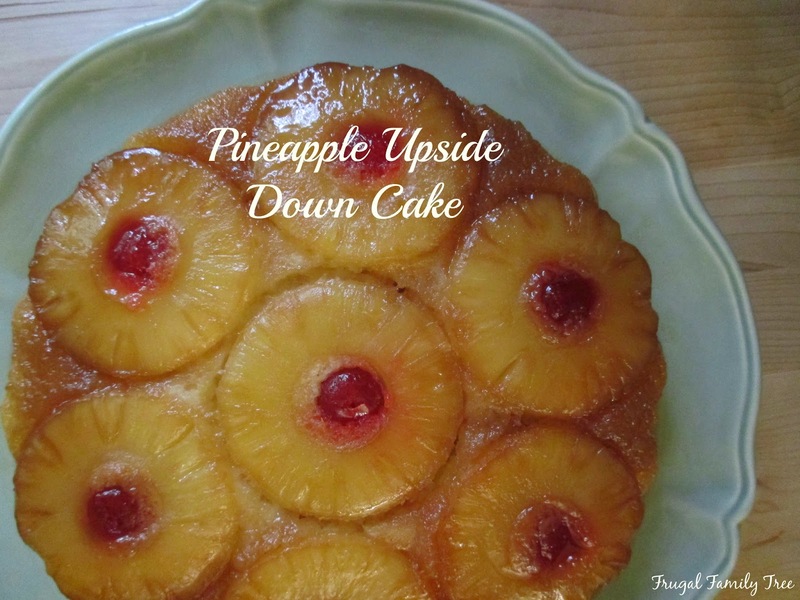 So today I made my mother's Pineapple Upside Down Cake. Or at least a version of it, because I don't have her original recipe. But this recipe is pretty fabulous, and I think she would have approved. Whenever I make this, I think of her in the kitchen, in her apron, and I'm so glad she was my Mom.